CUTN Recruitment 2019 - Walk in for Contract Teaching Post in CUTN, Tamil Nadu on Contract Basis. Candidates are invited by Central University of Tamil Nadu (CUTN) to attend walk-in-interview to be held on 13 Mar 2019 09:30 AM for 1 vacancy. Candidates having teaching experience of at least 2 to 3 years will be given preference. CUTN Recruitment 2019 - Job notification for Research Associate Post on a project entitled "Developing Materials For High Efficiency Silicon Hybrid Perovskite Tandem Solarcells' in CUTN, Thiruvarur, Tamil Nadu on Temporary Basis. Applications are invited by Central University of Tamil Nadu (CUTN) on or before 25 Apr 2019 for 1 vacancy. CUTN Recruitment 2019 - Job notification for Project Assistant Post on a project entitled “Utilization and Transformation of CO2: A DFT study on Pd- and Ni- catalyzed carboxylation of organic halides with CO2” in Department of Chemistry, CUTN, Thiruvarur, Tamil Nadu on Temporary Basis. 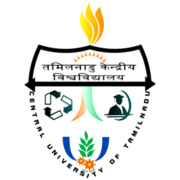 Applications are invited by Central University of Tamil Nadu (CUTN) on or before 30 Apr 2019 for 1 vacancy. CUTN Recruitment 2019 - Job notification for Research Associate Post in CUTN, Thiruvarur, Tamil Nadu on Temporary Basis. Applications are invited by Central University of Tamil Nadu (CUTN) on or before 25 Apr 2019. CUTN Recruitment 2019 - Job notification for Junior Research Fellow Post on a project entitled " Novel Approaches to Magnetostructural phase transitions in Metallic systems (NAAM) " in CUTN, Thiruvarur, Tamil Nadu on Temporary Basis. Applications are invited by Central University of Tamil Nadu (CUTN) on or before 25 Apr 2019.